When I was in my younger years, the thought of space exploration and astronauts was pretty big news. Back then, many of us probably had thoughts of becoming an astronaut in some manner or another. There was a truly human element to it, the “astronaut” was one of us. A human. For space distances to the moon for example, this “human astronaut” model seemed to work. (Yes, I know, call me naive, but I think humans have actually set foot on the moon). 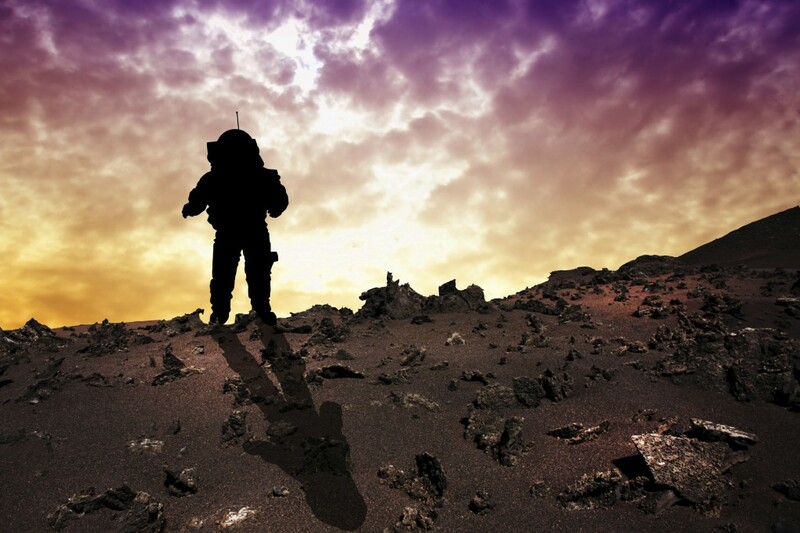 However, when it comes to the further explorations on Mars and other further away planets, we humans have some obvious limitations. Mostly these relate to the distance and time needed to reach the planets, but even then there are obvious physical and mental constraints as well. Well NASA has known for some time that one of the solutions is: Robotics. Interesting to note that this robot name is coined after the old Norse mythological concept of the “Valkyrja” which can roughly be translated as “chooser of the slain”. Yes, it’s a plural term as there were multiple “Valkyrja” who were female in gender and whose job it was (among others) to choose those who may die or live in battle. These are not just wheeled robotic units but these NASA robots are actual bi-pedal robots which “mimic” very human forms and features. But these NASA new generation Valkyrie robots (as far as I know) are not in any battlefield. Or are they? Perhaps you can say there is a “battle” for space exploration. But here is the rub. 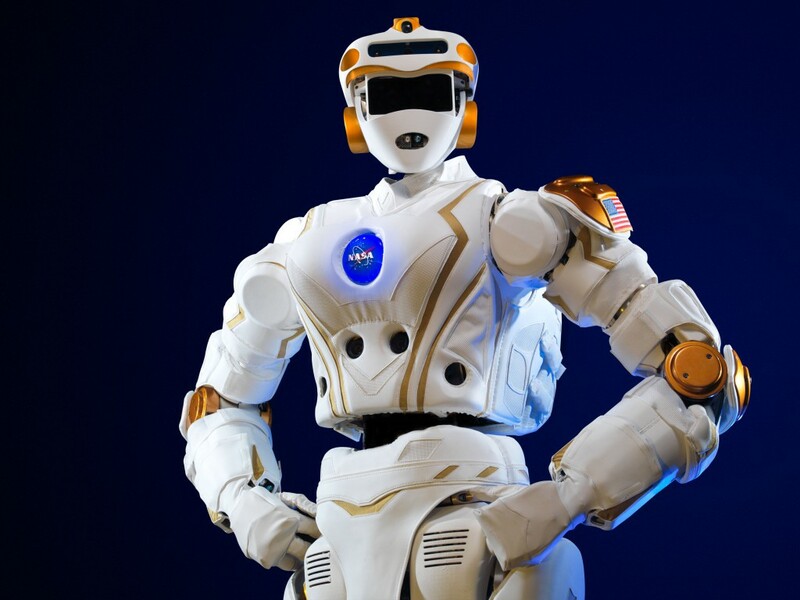 Especially interesting for this Robot is that NASA is partnering with some interesting institutions to further develop these robots especially in their AI and software aspects and less so in their mechanical ones that NASA already has had some years to perfect. Perhaps NASA and all of their engineers are still faced with serious cognitive AI software challenges that they are not yet able to solve “on their own” in order to make these robots more “self-sufficient” and to be able to be “thinking” as well as doing. For this they are willing to go to partners to “synthesize” solutions. This would also maybe imply that the intention is to send these robots “on their own” or at least prepare them for planets or situations where they may or may not be able to take direct communications or instructions from earth based systems. Finally, this would imply an amount of cooperation in a very serious robotic project that one does not see very often. Usually robotic systems are kept quite patented and kept in secret until they are “unveiled” as such. Here the robot of NASA is a “transparent work in progress”. No, I am not suggesting that this is “fully transparent” nor that NASA is not naive and haphazard and would have chosen their “partners” well. There were no doubt many “non-disclosure” contracts to be signed, but the fact remains that this kind of cooperation is a bit unorthodox and unprecedented. I see it as positive and it opens up many possibilities and synergies and certainly furthers the visibility of robotics to the public at large. It is this cooperation in the field of robotics for such a high profile case that inspired me to share some thoughts in the Sogeti Labs blog about this development as to me this is a very interesting way to work and I am known to be a bit unorthodox myself. Normally, one would think that there would be a tremendous amount of security and secrecy about such a project, but here it is transparent and publicized. That seems to be the case in Robotics research for space exploration, as opposed to say robotics for military applications. This NASA originated robotic cooperation seems to exceed “intellectual” borders and sectors and this I think is positive. It is in this high tech field of robotics that there is a lot of cooperation at university and corporate as well as governmental levels. That is hopeful to produce some good results. And this benefits the students and others as we will be witnessing I believe an even more and greater prevalence of robotics in universities and in the workforce as well as in our daily lives and not just in outer space. Here I would just point out that many technologies we use day to day got their origin in space technology research, including advances in robotics itself. We can safely assume that NASA has been working on just such a Valkyrie Robot for many years in some form of secrecy yet they have recently “donated” some of these prototypes for further research and modifications and improvements to such high tech learning centers such as MIT for example. It will be very interesting to see what AI, software, machine cognitive advances will come from this kind of cooperation. In any case, as with all technological advances that were intended for space, it may be that the robotic advances will have even more relevant applications back her eon good old planet earth. NASA and other space agencies across the world have sent orbiting satellites, robot framework and probes into space and have even sent rovers and wheeled vehicles mounted with sensors and cameras, etc. to Mars for example. Through this we come to find out for example recently that it is confirmed that there is a form of H20 (Water so to speak) on Mars. Which is a ground-breaking piece of news. Most likely we would not have gained this knowledge without Robotic “feet on the ground” (or wheels as it may be) so to speak. Imagine what kind of advances in useful data collecting and fact finding on other planets these “intelligent and self-sufficient” robots could achieve on such further planets such as MARS or beyond? Could they find other soils better for food sources? Find other elements? Other materials that could save lives or at least make ours better? Could they find solutions to help make the difference between whether we as humans survive or not? Where have I heard that before? Aha! Of course, perhaps then that “difference” these robots could make for humanity is why they are called “Valkyrie”!? Such Robots as these (or at least some discoveries we may get trying to work with Robots such as these – all future failures and success included) may be the very technological tool or “missing future link” that helps “we” the collective human species to “survive” on the metaphorical “battlefield of life” on a planet with climate changes and dwindling resources so to speak. Darwin may not have predicted that but I’m sure he would call that a form of “adaptation” no? Or perhaps there is a Norwegian person who designed the Robot? Perhaps the reasoning for the Robot’s name is even just something more banal or mundane. Maybe I am again waxing too poetically again. But I think not. I would have to talk to the teams within NASA to see who and why they came up with the name. But I would imagine I am not too far off. If you work for NASA and are reading this, please feel to leave a comment below. Either way, this robotic space exploration development is fascinating to me not only because I am passionate about Robotics but I am also passionate about Space Exploration and I am also certainly keen on surviving just like everybody else right? So, in the future it may not be wheels but Robotic feet that help humanity find solutions to worldly issues on outer planetary regions. Future Spacewalks both in space at space stations or on ships travelling hundreds of years in space or on planets far away may come from Robots and not we humans. This is quite a leap from only 50 years or so ago when it was man’s turn to walk on the moon. And it is quite a radical use of a format (humanoid robot) and technology that has long been scoffed at as simply a toy. Also, it is easy to see that for the time to come at least, one of the greatest aids to our human story in outer space may be aided firstly in some planets by “astronauts” of not just the future but the “now” that will not be human but will be machine. Human machines nonetheless. And there will be many of them to come. Time to play some Wagner. The human brain can be copied to a form of hardrive within 20years orso. Just imagine what will be possible then. Just download or copy the human brain onto a harddrive put this harddrive on sleep mode. Shoot the harddrive to a remote planet. The moment it will arive there the harddrive wil be activated. The harddrive is coupled to a robot body with a fusion core. Et voila you made space travel over long distances possible.